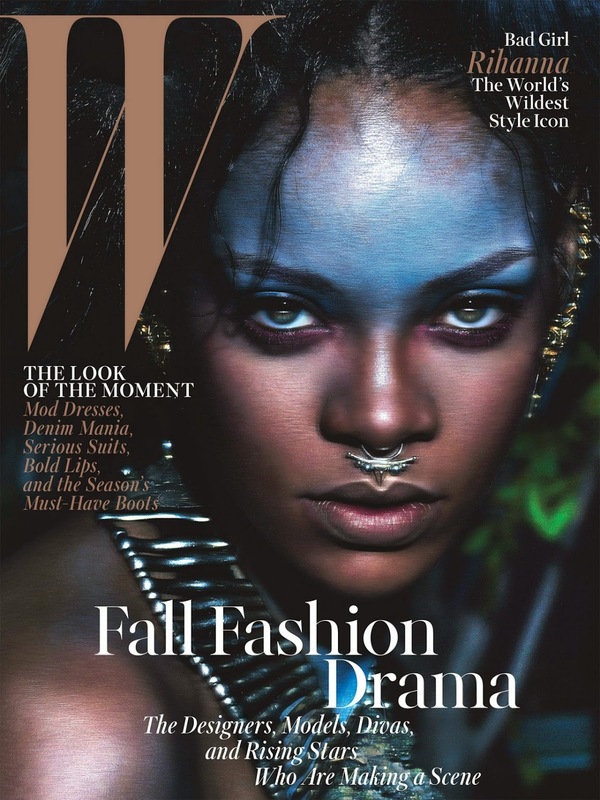 The 26-year-old singer Rihanna covers the September 2014 issue of W Magazine. The 26-year-old singer has a never-ending list of iconic fashion moments, which is why W Magazine is calling her “The World’s Wildest Style Icon!”. For the photo session the diva dons heavy furs, gigantic jewelry and vibrant face paint and chills with some rather unfriendly looking wolves in the stunning shoot proving that no matter what she’s wearing, the diva knows how to remain a style icon. None of the interview has yet been published, but Rihanna described the shoot, shot by Mert & Marcus, as “Eskimo Horror Cover Story,” and so it will likely be worth a read when it is released. The famous singer is also photographed with Naomi Campbell and Iman Abdulmajid for a second fashion story in the issue of W magazine wearing all Balmain. For now, check out the full set of RiRi’s cover story shoot above. Enjoy and stay up for more next time!